What are the benefits of a central vacuum system? They are lightweight, flexible and easy to use. You don’t have to worry about power cords, extension cords or changing and replacing vacuum cleaner bags. They are also very quiet when in use because the motor is usually installed in a garage or basement. The vacuum power unit (or the motor) is the main unit of a central vacuum system. It provides strong suction and deep cleaning, while the filter separates debris. The vacuum power unit is usually located in a remote area such as the garage or basement. The motor pulls air through the pipes and hose, and dust and dirt are captured and retained in the filter. The exhausted air is either vented outside or within the area. How does a central vacuum system work throughout your entire house? There are vacuum pipes that connect the main vacuum power unit to the inlet valves in the walls of each room. PVC pipe is installed and starts at the main unit and splits off into different areas of the house. It goes into a wall and connects to the back of an inlet. One inlet can cover a large area. These inlet valves, or ports, connect to the hose and enable the suction to be turned on and off. Is a central vacuum system beneficial in a commercial environment? Yes. Central vacuum systems are frequently installed in schools, restaurants, retail locations, hair salons, hospitals, office buildings and many other commercial locations. The convenience of a central vacuum system can be utilized in any corporate or commercial environment and can be custom-designed for each facility to be used for a wide range of cleaning applications. In addition to floor and surface cleaning, central vacuum systems can also be equipped with accessories for removing liquid spills in cafeterias and laboratories and collecting dust or welding fumes in industrial locations. Central Vacuum systems are long lasting and can outlast several portable vacuum cleaners. A central vacuum system is a long-term investment in your home or commercial location. They require little maintenance and can often last and function effectively for 30 to 40 years. Can a central vacuum system really reduce the allergens in the air? It is a fact that a central vacuum system may help to reduce the allergens in your home. With the increase in airflow, more dust and dander gets removed from the home, making it a cleaner and less allergic environment. 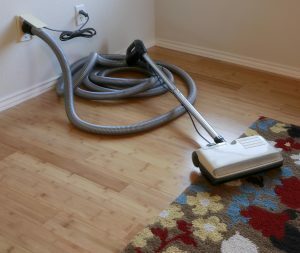 Traditional vacuums can stir up dust and dirt into the air of your home but with a central vacuum system – the air is vented outside your home, so any dust particles that arise, exit through the vent. Who should I contact for a quality central vacuum system? For a quality central vacuum system installation, contact the experts at Long Island Central Vacuum Repair. They are certified by the Vacuum Dealers Trade Association and they offer quality central vacuum system installations, parts and repair services. For a free consultation and expert information about a central vacuum system, give them a call at 516-942-0853.